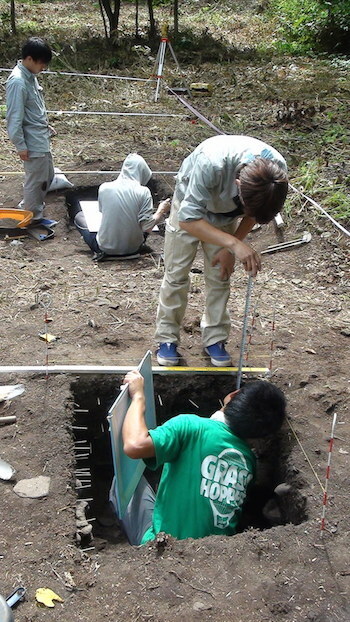 Since 2012, Laboratory of Archaeology Hokkaido University has conducted archaeological excavations at the Rebunge site, Toyoura Town in Southern Hokkaido. 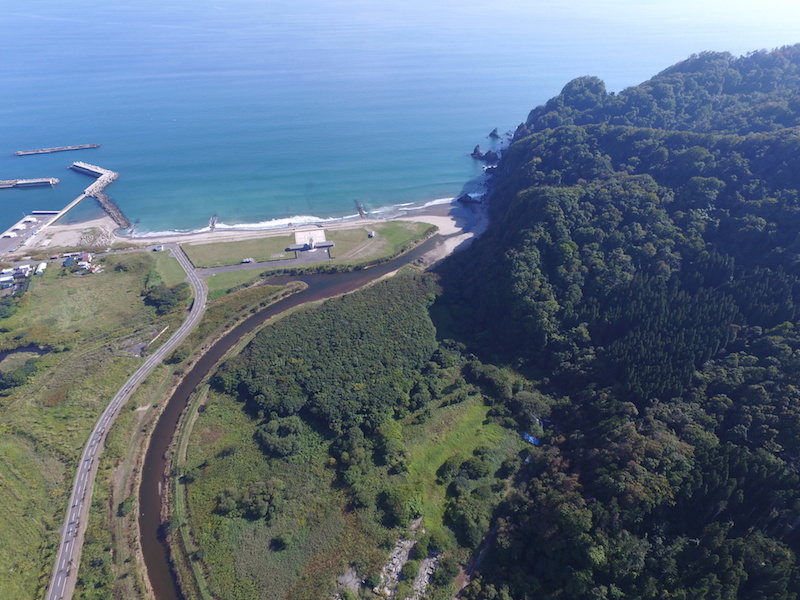 This investigation is a part of “Jomon Eco Museum Project” started in 2000. In this project, we excavated the Usu 6 site (2000-2005) and the Koboro Cave site (2006-2011), thus the Rebunge site is the third subject. The Rebunge site is dated to the Esan Culture period (ca. 2300-2000 BP). This archaeological culture is one of the Epi-Jomon Cultures and was formed under the strong influence from the early agrarian society of the Northern Honshu Island. Although its economy is based on hunting, fishing, and gathering, there are a lot of similarities in material culture between the Esan Culture and Yayoi Culture of the Northern Honshu. Elaborated bone/antler tools from the Rebunge site collected by I. Mineyama and B. Yamaguchi’s excavations from 1963 to 1965 are still representative artifacts of the period. However, the area, stratigraphy, and characters of the site has not yet been thoroughly clarified. We investigate this site to reveal life style and environment use of the Esan Culture comparing with results of excavations at the Koboro Cave site that is estimated to be a camp site of the period.